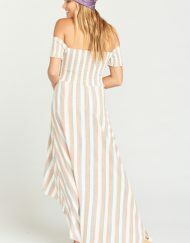 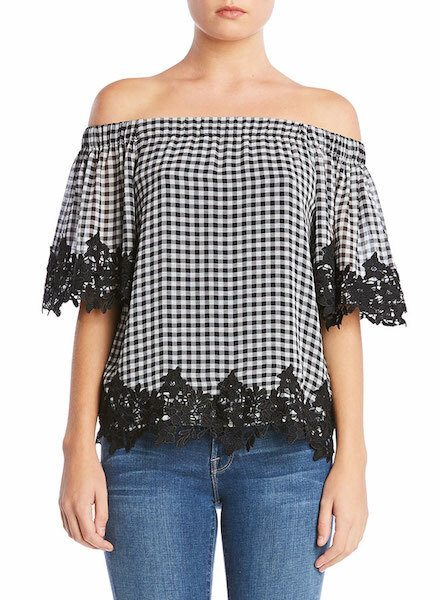 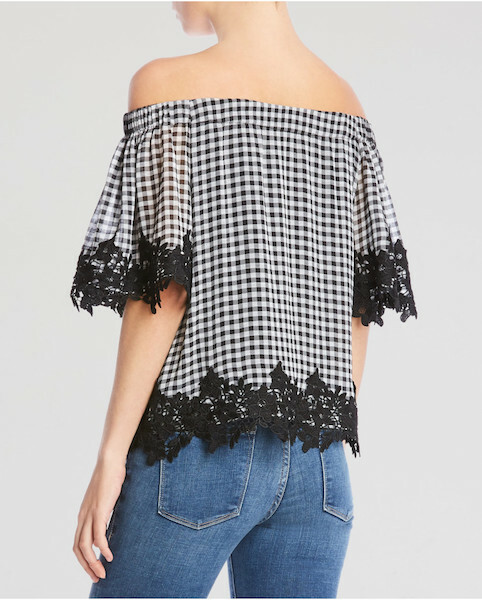 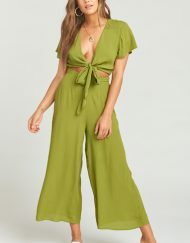 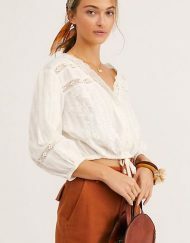 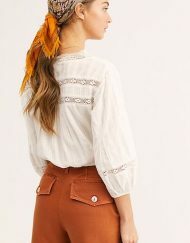 This adorable top is an off the shoulder crinkle chiffon gingham print top with lace applique trim at the arms and hem. 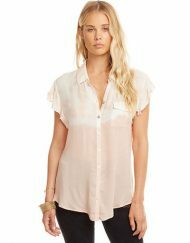 Features elastic at the neckline made to stay in place. 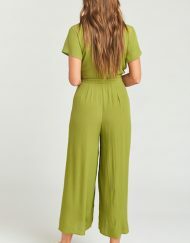 100% Polyester, 95% Rayon/ 5% Spandex.